Philippe Jaboulet, along with his son, Vincent, took over Domaine Collonge in Crozes-Hermitage as a going concern soon after the sale of Maison Paul Jaboulet Ainé to the Frey family in January 2006. 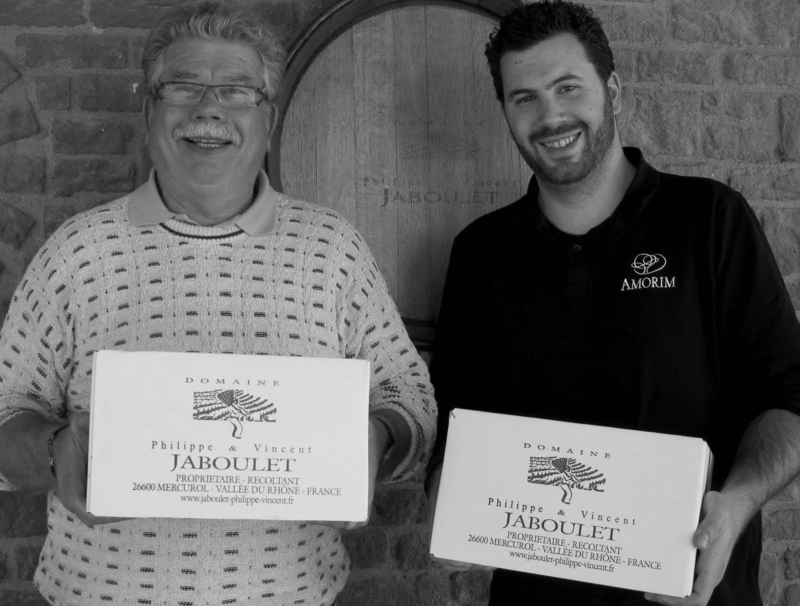 Probably what is less well documented is that the Jaboulet family kept hold of most of their prized vineyards, including a sector within the Crozes Hermitage appellation universally recognised under the name of Thalabert. Whilst the name can no longer be used by the Jab’s, the resulting wine lives on in the guise of Nouvelère, or ‘new era’. Historically, the vineyard had another name, Les Grandes Vignes, and the vines that exist here are no less than 40 years old. All are worked by hand and trellised on the classic single pole system, or en échalas. Of the 12 hectares owned in the parcel, half are dedicated to the production of the Nouvelère wine. In fact, the surface area of the vineyard used to be bigger, but a portion was lost during the construction of the A7 auto-route which now dominates the plain. 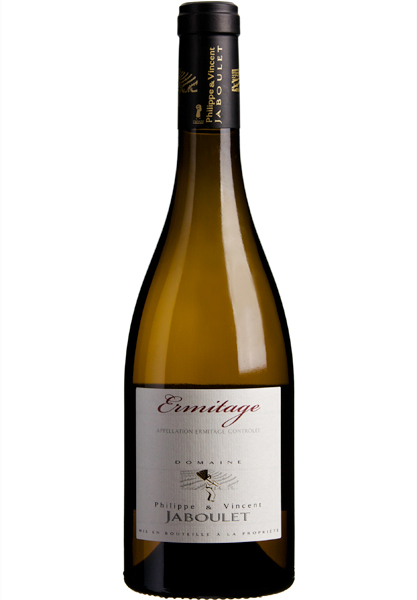 The white Crozes-Hermitage is 100% Marsanne and comes from 1.2 hectares of vines. The wine is raised 80% in tank with the remaining component fermented in barrel. The wine is designed for early drinking, with just sufficient oaking to give the wine an added degree of nutty complexity. Production is around 6,000 bottles a year. Contrary to the Crozes blanc, the seven ares of white grapes within Hermitage are planted exclusively to Roussanne, planted by Vincent’s grandfather. The wine is fermented in around 50% new oak, with a full-on battonage and a complete malolactic fermentation. The result is a powerful and complex wine. Production is limited, with around 2,000 bottles produced each vintage. The ‘generic’ Crozes Hermitage red is aged in a combination of tanks, large wooden vessels and small oak, although no new wood is ever used, with the wine only ever being released two years after the vintage. The Crozes Hermitage Nouvelère is sourced from 70 year old vines, the oldest in Les Grandes Vignes which is littered with large boulders, helping to explain why any sort of mechanisation here is all but impossible. The resulting wine is aged in small oak and larger barrels for around 26 months. Production hovers around 15,000 bottles a year. 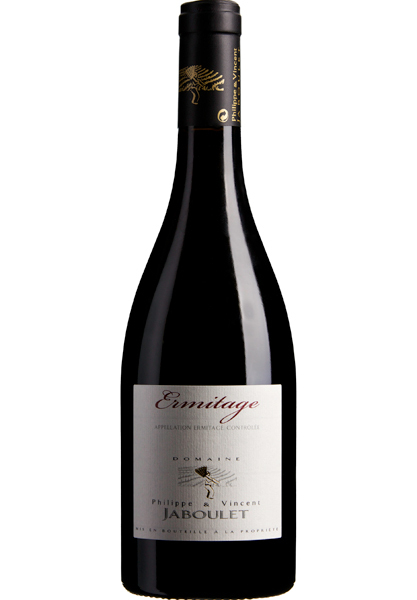 The Ermitage rouge comes from half a hectare of Syrah planted in the lieu-dit of Diognères at the foot of the slope. The wine is aged in around 50% new oak, with the balance in older wood. This also produces around 2,000 bottles a year. The family has also acquired 1.7 hectares of south-facing slope at Cornas. The vines here are at the top of the appellation, benefiting from cooler nights, allowing for a later harvesting date. The raising of the wine follows that of the Ermitage. The other wine to note here is the Syrah IGP Drôme, which is effectively de-classified Crozes-Hermitage sourced from 1,5 hectares of younger vines and currently considered ‘too light’ to be introduced to the grand vin. It’s the only wine produced at the domaine not to be hand-harvested. The same wine is available in bag-in-box, for those customers who are re-discovering the joys of serving wines in this much-maligned format.